China's yuan strengthened to a five-month high against the US dollar on Friday, the largest weekly gain in 14 years thanks to a weakening greenback and positive signals from Sino-US trade talks that concluded on Wednesday. Within the week, the onshore-traded yuan appreciated more than 1.7 percent against the dollar, the best weekly performance since China shifted to a managed floating exchange rate regime in 2005. The yuan's onshore spot exchange rate hit 6.7425 per dollar, a gain of nearly 0.6 percent, during Friday's trading. It was the strongest level since late July. The daily trading reference, or central parity rate, was 6.7909 per dollar, around which a 2 percent floating range was allowed, according to the China Foreign Exchange Trade System. The offshore yuan, which can float freely, without limit, appreciated to 6.7486 per dollar the same day. The remarkable performance was mainly because of positive signals from Sino-US trade talks and the continually weakening US dollar, economists said, adding that the yuan's depreciation pressure could be further eased this year. China and the United States have laid a foundation for addressing each other's concerns in the future, according to a statement released by the Ministry of Commerce on Thursday. The two sides agreed to continue to keep in close contact based on improved mutual understanding, it said. The statement came after the latest round of vice-ministerial level trade talks between the two countries. "Investors remain optimistic over more higher-level negotiations in the future to resolve (Sino-US) trade differences," said Lukman Otunuga, a research analyst at FXTM, a global foreign exchange platform. 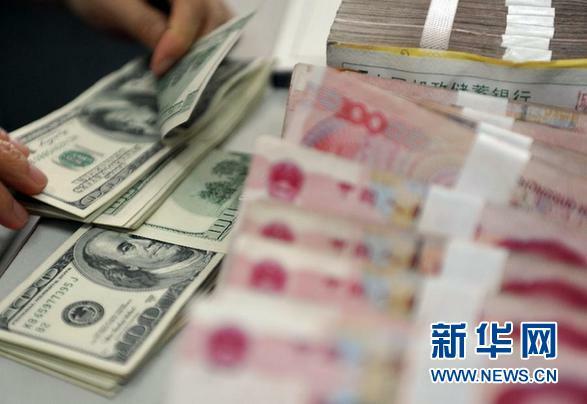 "With the greenback weakening on expectations of the US Fed taking a break on interest rate hikes, this is seen supporting the yuan further," he said of the exchange rate movement. Minutes from the US Federal Reserve's December policy meeting showed its caution on further rate rises. Fed Chairman Jerome Powell expressed a "patient" approach to monetary tightening, given the turbulent financial markets and rising concerns on global growth. The US dollar index, a gauge against a weighted basket of peer currencies, dropped about 0.75 percent to 95.18 after the minutes were released. Cheng Shi, ICBC International's chief economist, said that China and other emerging markets will be more attractive for global investors in 2019, while the US stock market has entered a "correction phase", easing the pressure of capital outflows from China and contributing to a more stable yuan. The stable foundation of China's economy and the monetary authority's latest messages on maintaining the yuan's exchange rate "at a reasonable equilibrium" can support a stable currency and ease some depreciation pressure, according to a research note from Northeast Securities. "China has sufficient foreign exchange reserves, a low foreign debt level and various monetary policy tools that can consolidate the basis for the yuan's stability," the note said. China's foreign exchange reserves rose by $11 billion in December to $3.07 trillion, after a rise of $8.6 billion in November, according to the State Administration of Foreign Exchange.